There are lots of little bits and bobs (hence the title) knocking around the house that I keep meaning to blog about about, but somehow have never got round to. The last month has been a busy one, to say the least, and although the next few months look to be equally as hectic, I want to make sure I don’t let the maintenance of my blog slide. 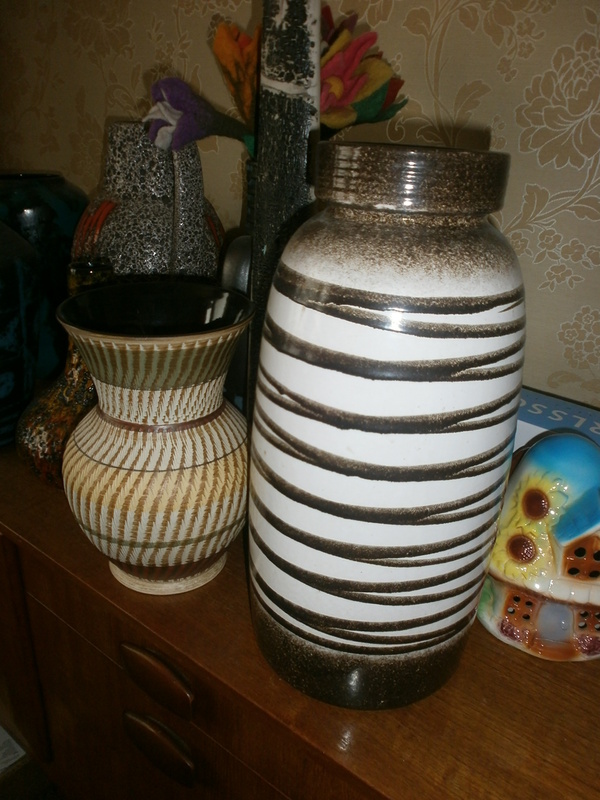 We still manage to fit in accumulating lots of retro and vintage goods around the business though. Just wouldn’t be us if we didn’t! 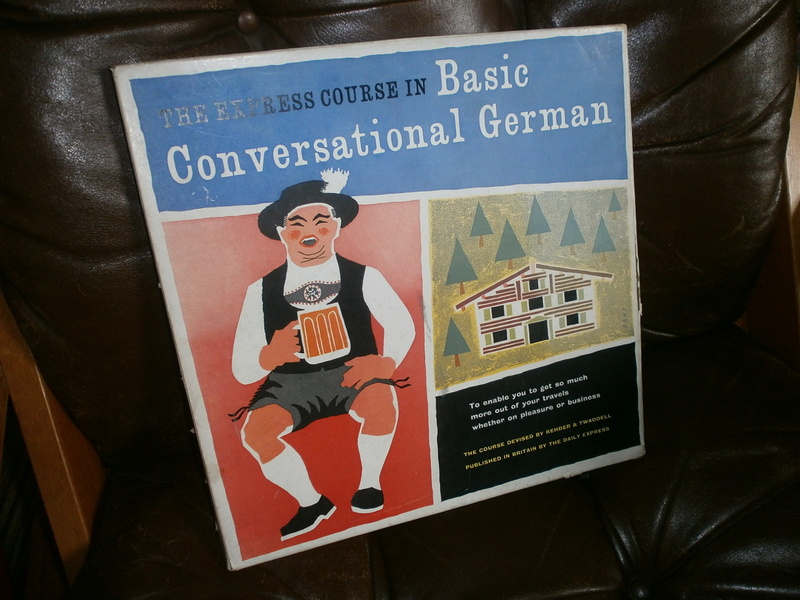 We’ve been to Germany twice this year: once in February and last week. On every trip, we manage to find a vintage lady print. Whilst on this trip we just found another version of J.H. Lynch’s ‘Tina’, last time we found the picture by Torina above. 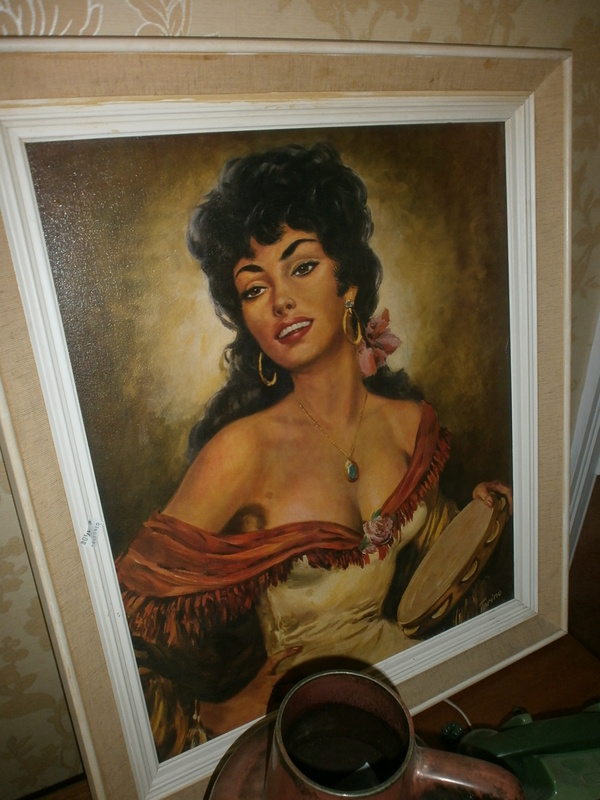 We’ve only ever seen ‘Carmen’ the gypsy woman before, so this is a new one. This time in Germany, we did see a radically different Torino print, featuring a 1950s style beauty in a bathing suit. However, there was something about the face that put us both off, despite the apparent boobage action that features in all of Torino’s babes! It was all a bit out of proportion. After debating whether to sell this particular Torina totty, I think we’ve decided to keep it. She suits the front reception room’s current decor, so she’ll at least sit in there until we decorate. 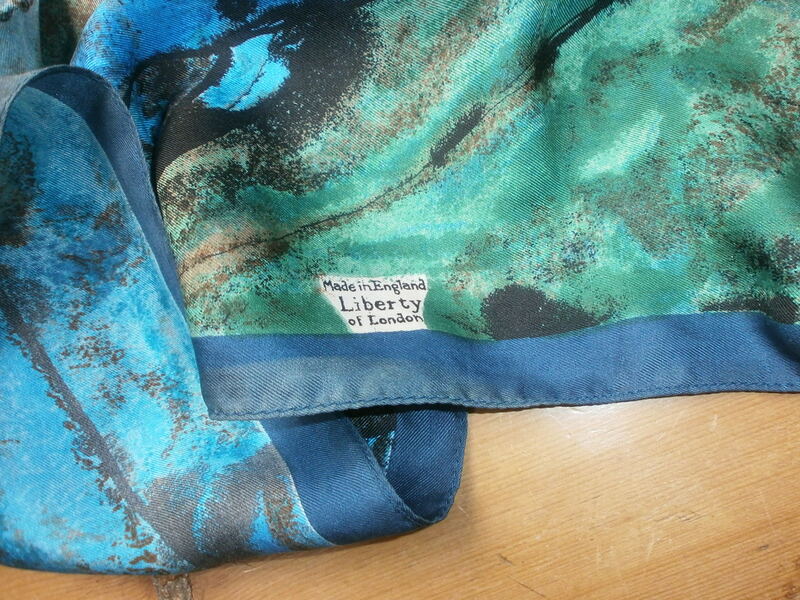 It’s a beautiful, vintage Liberty scarf and he said it was ‘just because’. You can’t really get much better than that as a reason. I’m not sure what era it’s from; at a guess I would say 1980s. So far, I’ve been too timid to wear as it is so, so delicate. I could also do with some suggestions of how to wear it other than just draped around my neck in what I hope is a slightly artful manner. 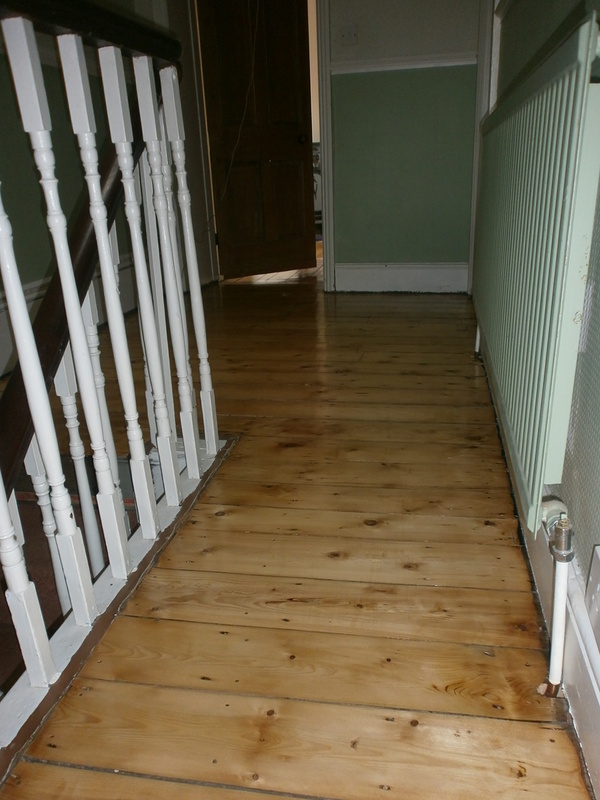 The floors upstairs are nearly finished, thanks to a superhuman effort by Aidan and his dad. I think these will be done this week, maybe even this evening if I know Aidan like I think I do… Once these are done, then we’re going to put the old carpets back down to protect them while we remove and replace the wallpaper upstairs. Downstairs is another matter. I’m not sure what or when we’re going to get started on doing down here. Upstairs is a big enough task for now and we’ve got a nine month deadline in place… well, five months left now. 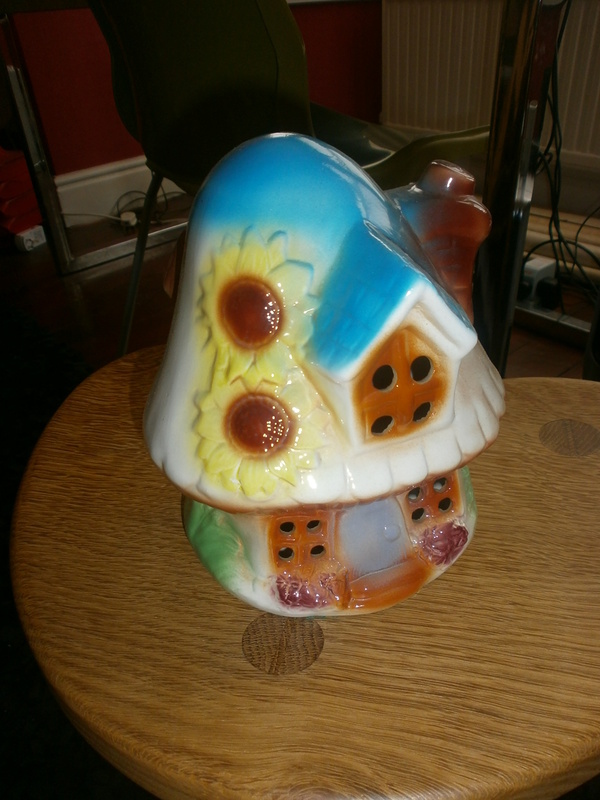 We bought this mushroom night light from the Emmaus charity shop in Mossley a while ago, but I forgot to photograph when I wrote about a few other things we’d had from there. It needs reconverting back into a light, as someone has removed the fittings from inside it. It was going to be sold, but now we think we’ll keep it for the baby’s room. The latest car load from Germany is being slowly decanted from the van-car to the garage by Aidan, but straight into boxes as we’ve got space restrictions in place. There are a few things that have made it into the house already, including two rather large chairs we brought back, so I’ll get photographing those at some point this week.